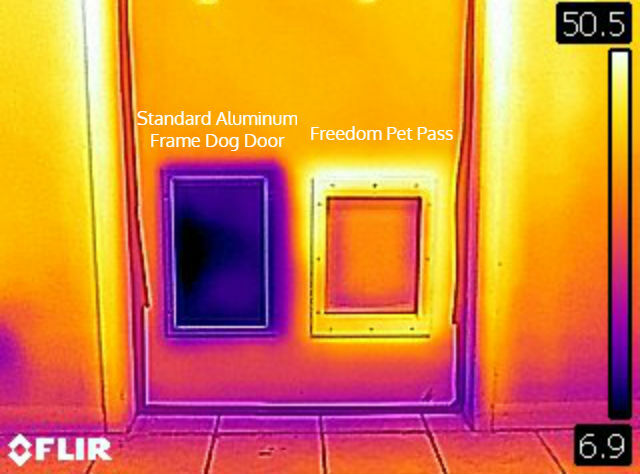 What is the maximum wall thickness into which a Freedom Pet Pass door can be installed? 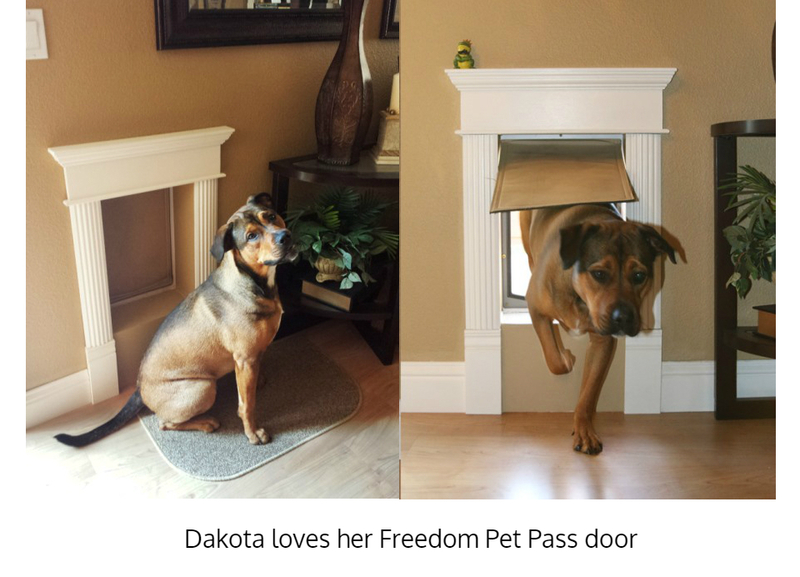 Freedom Pet Pass wall-mounted pet doors can be installed into a wall of any thickness. This is because they are designed to install and trim out very much like windows. 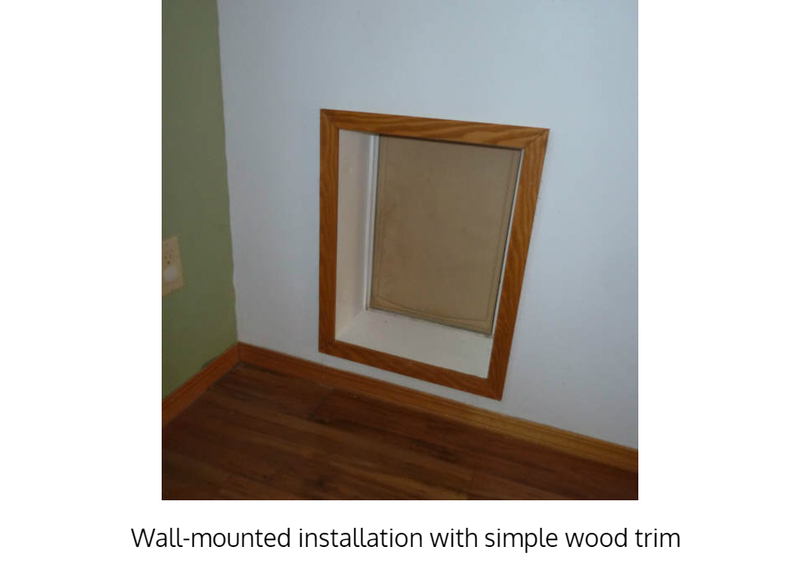 Any excess wall cavity can be easily trimmed with jamb extensions or drywall wrap, just like the windows and human doors in your home. This is the best dog we have ever owned. We liked it so much we bought one for our daughter. In all we have bought 3. Only reason is we moved and needed another. 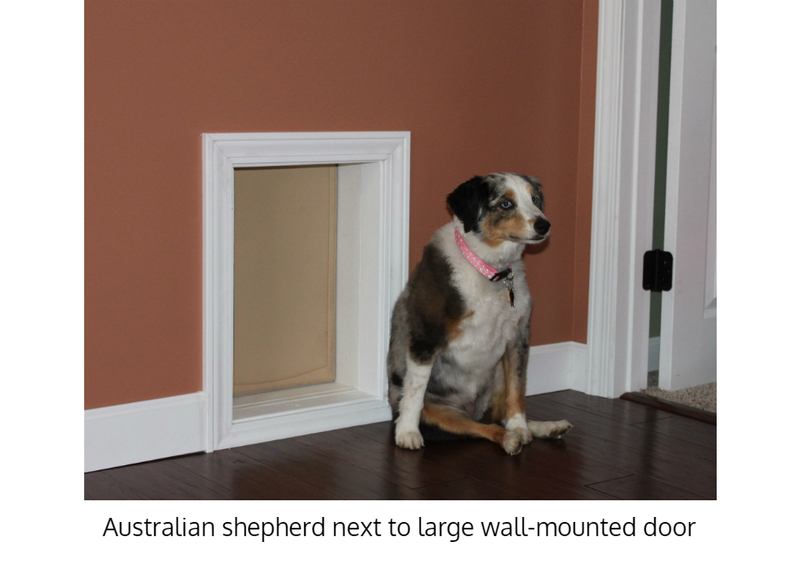 I would not purchase any other dog door after owning this. Best of all when we had a problem the owner contacted me instantly solved our problem after e-mailing back and forth a few times. Mr. Love is the nicest person. Very kind and to be honest he could have sold me another dog door but instead he helped me fix the small problem we had. That door is very very well built. It really is built to last. I’m buying a second door for our new house (third door overall). 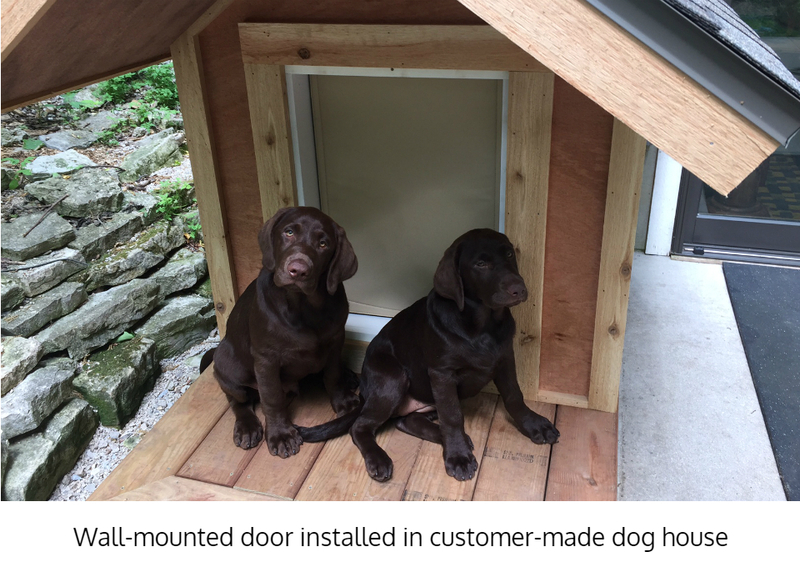 This is the second house we are installing one of your dog doors in. In our first home the door was about 4 feet from my side of the bed – in the Rocky Mountains at 8200 ft above sea level. The flaps never blew open and I never felt a draft – worked great, so we have high hopes for this one in the new house. Now we are at only 7100 ft elevation, but in a much windier area, so we are hoping it works as well here too! The door is solid construction and looks nice too. We just bought our door a month ago for a French Bulldog and a Pit-mix. One is 30 lbs and the other is about 60. This door seals tight, I love it! We live in the country and the wind is bad most of the time. I put it on a side of the house where the wind doesn't blow too hard though. I've used Hale doors in the past and there is always a draft coming through it. This door has little to no draft. We are finding that we have to retrain the dogs to use it because it's not clear (see-through) anymore. The older Frenchie has it figured out but the Pit just can't figure out how to get back inside. 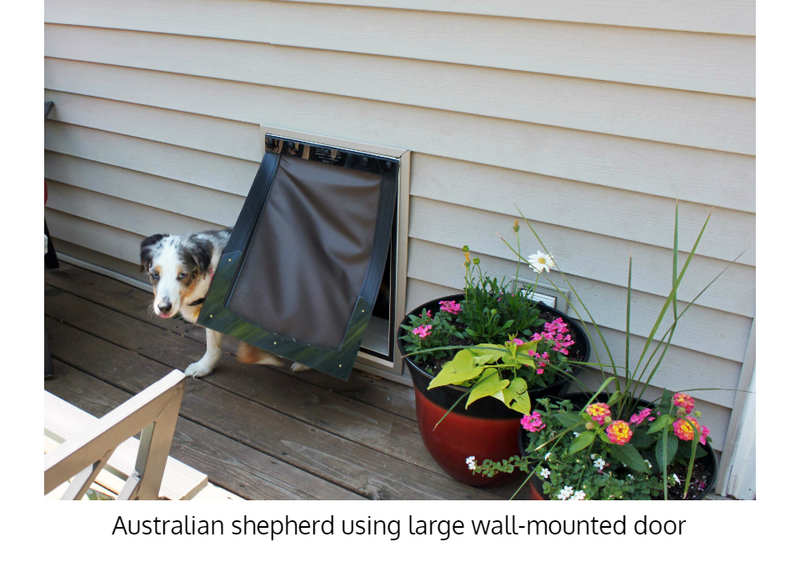 It is a full dog door flap on the way out but when you come back in, the dog needs to know they can't push the very bottom of it because of the magnet. He's having a hard time with that. I'm sure he'll eventually figure it out, but just be warned, it is not clear and is scarier for certain dogs. The other advice I can give is to not get frustrated with your pet. If you do that, it will ruin the dog and they are much harder to train. We plan to get another one that will go directly on the side of the house where there is wind. We plan to get the XL door and I will post another update to show how it performs. 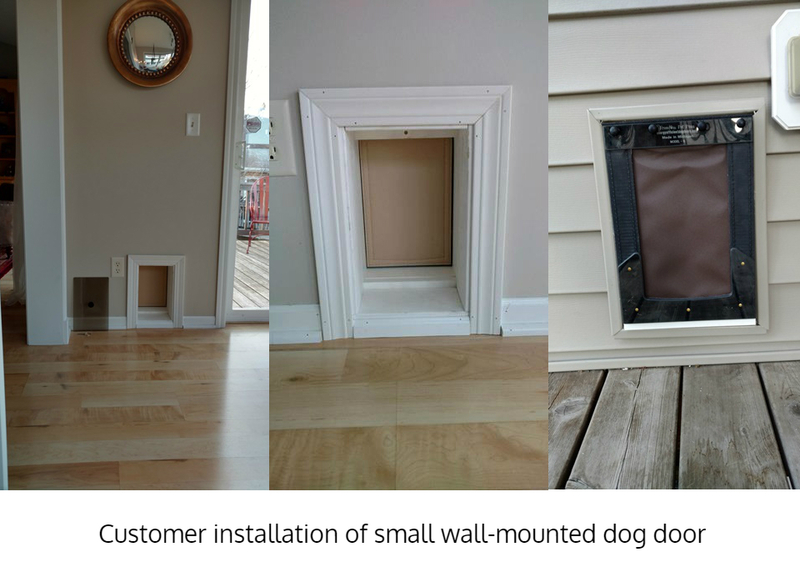 The install was actually very easy and was my first dog door installation. I am a DIY'er but if you have the right tools, it's not bad. I will buy another one of these. 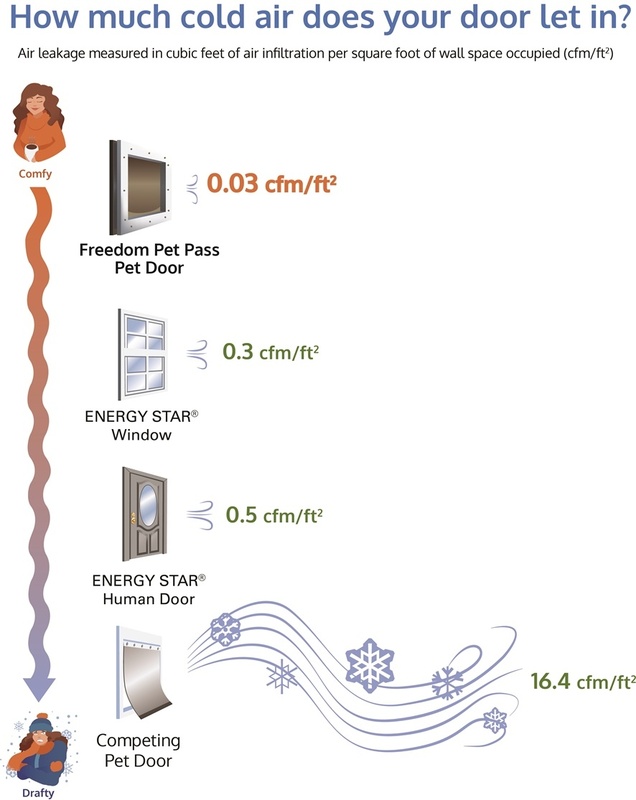 They are quite expensive but worth it for the energy savings alone. Junk. Don't buy this crap. Buy a [brand removed] instead. Their doors are so much better. You can buy them at [URL removed]. Freedom Pet Pass note: We have no record of this customer actually buying a door. We think this was left by an unscrupulous competitor. However, we don't want to remove a possibly real review either. We removed the competitor's information, but left the review up for future customers to consider. 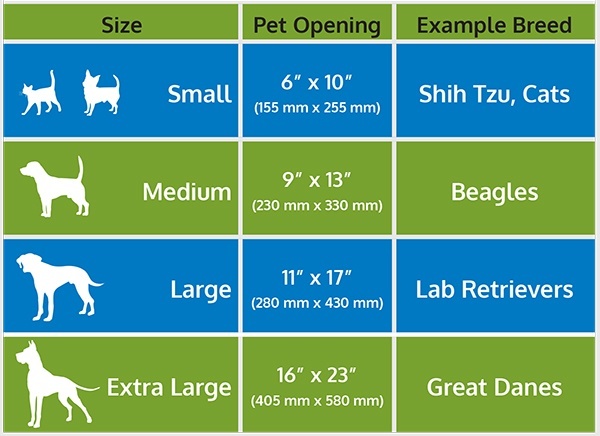 The pet doors arrived quickly and in good condition. 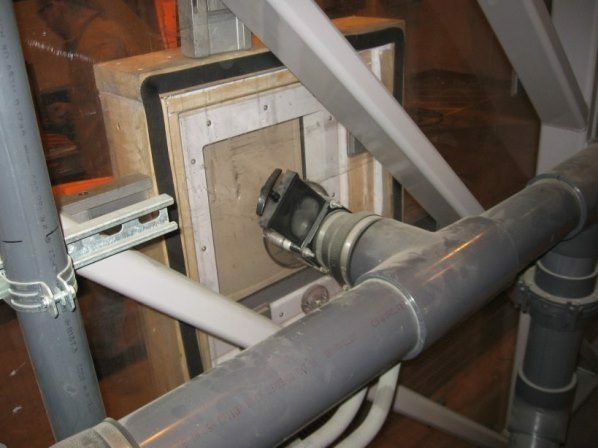 Before installing the I worked on training my dogs to go through the frame, then added on flap at a time. This went well. I had the doors installed by a professional carpenter. 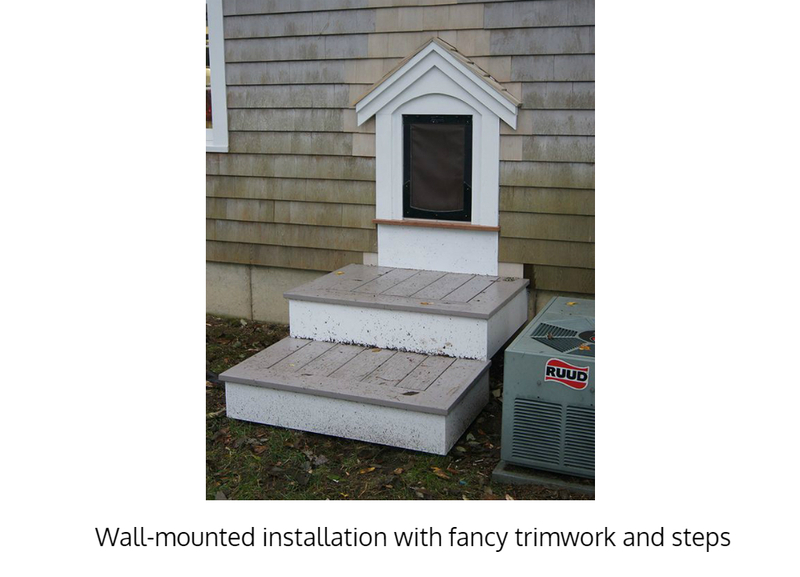 He found the installation video helpful,especially the tips about insuring that they were installed at the correct height for the dogs. I'm pleased with the energy efficiency. My dogs are gradually learning to use the pet doors, rather than relying on me to let them out, as we have done for years. They are making good progress. Definitely would recommend these pet doors! I love these doors so much I bought two of them. One to enter through the garage doors ( I can keep them closed at all times now ) and one to enter the mud room. Both hold a tight seal all year long and are very durable. More importantly the dogs love them. I had what appeared a break with the outside flap. It became detached and looked like the entrance was damaged and caused door failure. I contacted the company and the owner gave me s few simple instructions and I was back in good shape like new. These doors are built to be repaired, not replaced. I have two dogs and they are a bit hard on them but they work like new and they are 4 plus years old. I installed a pet door in my drafty farm house this past winter much to the delight of my two Newfies. 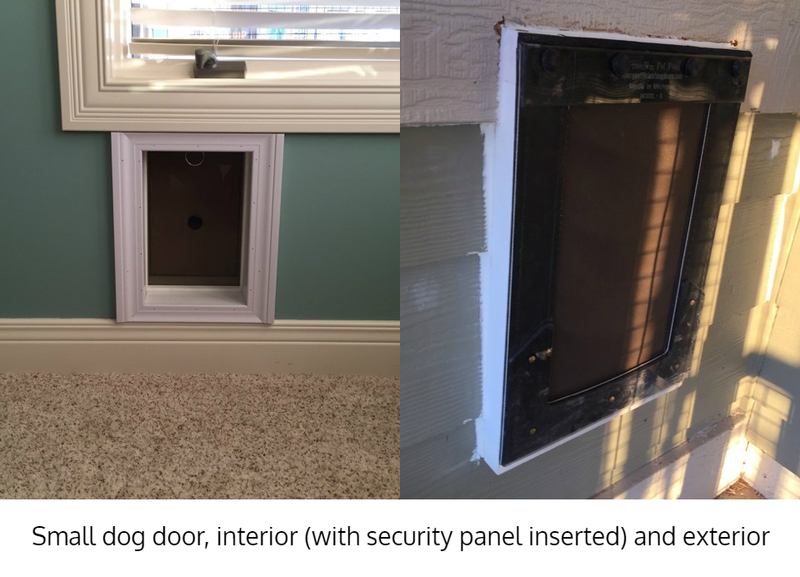 This past summer I had a major energy efficiency upgrade done on the house that involved putting drywall over previously unfinished walls, including the one where the dog door was installed. Since during the renovation I could not have the dogs coming in and out freely, I blocked access to the door from the outside and and did not cut out the opening in the drywall from the inside. 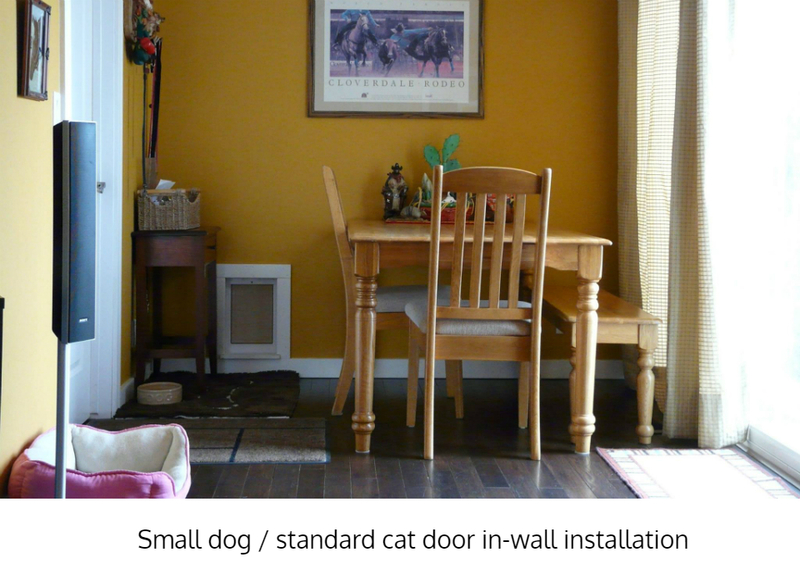 We did a post-renovation energy audit and blower door test with the dog door still sealed behind the drywall. THEN, we immediately cut the opening in the drywall to re-expose the dog door and were pleased (but not surprised) to find that there was no change in the blower door test reading! 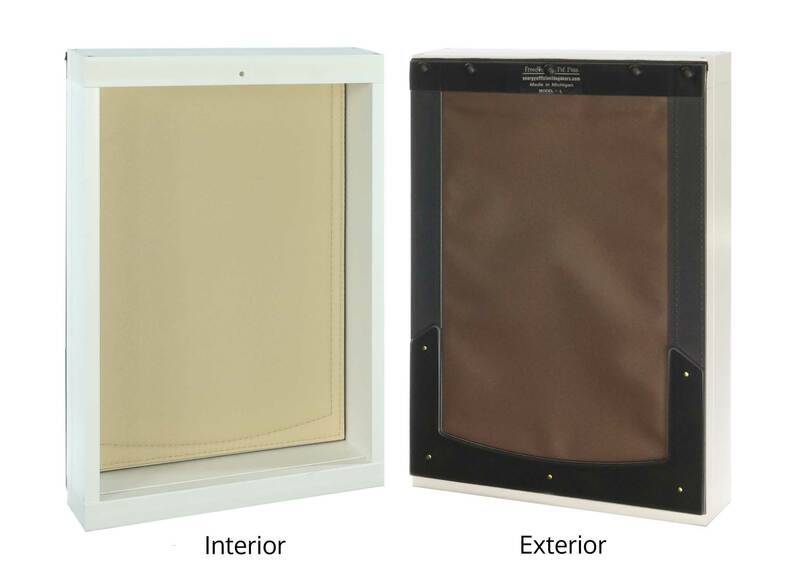 I purchased your large wall mount pet door in October of this year. Got it installed in November. It is working really well. My German Shepherd, Lady Boo zooms in and out with no problem. Her goal in last few days is trying to bring a long tree branch into the house. Hopefully she won't figure it out! So far we have had some extreme weather, with the temp getting to as cold as -40 degrees Celsius for 2 or 3 days and nites in a row. I have not had any problems, just a small amount of frost forming on the bottom of the flap inside. I use a hair dryer to melt the frost, and clear up the moisture and fur with a paper towel. Haven't noticed any drafts. So far so good.